FREE 50 Issues Of Sports Illustrated Magazine! 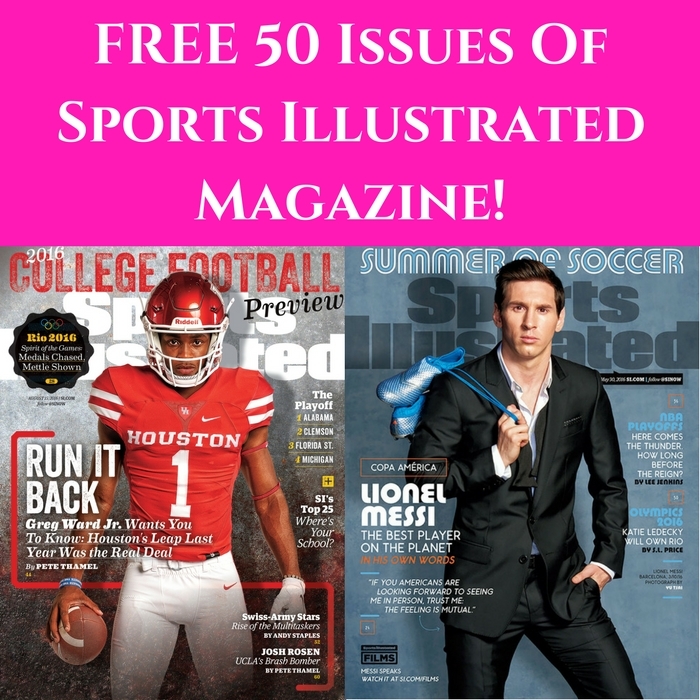 You are here: Home / FREEbies / FREE 50 Issues Of Sports Illustrated Magazine! If you love sports then you might like this FREEbie! Go to Reward Survey and get a FREE 1-Year Subscription to Sports Illustrated Magazine by signing up and completing the surveys! Your first survey pays out $20 in points, which is enough to cash out for a FREE subscription to Sports Illustrated Magazine! You’ll earn $20 in points after taking ONE quick survey!